BehavioSec, the pioneer in behavioral biometrics space, today announces that Dave Lapin has joined the company as Chief Revenue Officer (CRO). With more than 25 years of cybersecurity and enterprise technology sales, business development, and leadership experience, Mr. Lapin brings deep expertise in supporting early stage technology and services companies as they transition to mainstream integration. As companies shift to more reliable, scalable, and operationally friendly deployment of continuous authentication technologies, a critical component of their digital transformation efforts fueling Web and mobile commerce, he will play a strategic role in driving long-term relationships across BehavioSec’s customers, partners, and industry thought leaders. His background of effectively connecting enterprises with innovative technologies at the appropriate transition points in the market, is ideally suited to accelerating BehavioSec’s absorption into diverse industry sectors like banking, fintech, retail, cloud services and MED-ED segments. He has unique expertise identifying industry segment leaders, building the go-to market and support teams that scale, while continuously assisting in focusing and refining products to meet the needs of those segment leaders that historically have moved “interesting new technologies” to broad market technology consumption transitions. His ability to define, build relationships, and provide service to support those enterprises capable of leading actionable transitions in their markets is unique and noteworthy; “For those market leaders as well as fearless challengers that are sophisticated enough to understand and deploy behavioral biometrics to improve their users’ experiences (UX), harden their authentication architectures, and pioneer significant anti-fraud controls in the next wave of cyber lead service delivery, there is a great future that will allow those pioneers to distance themselves from their traditional competition,” said Dave Lapin. Dave has over two decades of experience in senior management. Prior to joining at BehavioSec, he was a top sales executive at NCC Group Security Services, IOActive, Dell Secureworks and Cisco Systems. In these roles, he has supported technology and services providers, in building and testing reliable, scalable, high integrity systems. He drove business units to deliver products while strategizing and meeting revenue objectives. Lapin’s experience provides keen technical insights in security, core IP routing and switching, unified communications, silicon and system security, and other network technologies, as well as a deep understanding of customer issues and a thorough approach to sales. He is a graduate of the Georgia Institute of Technology. 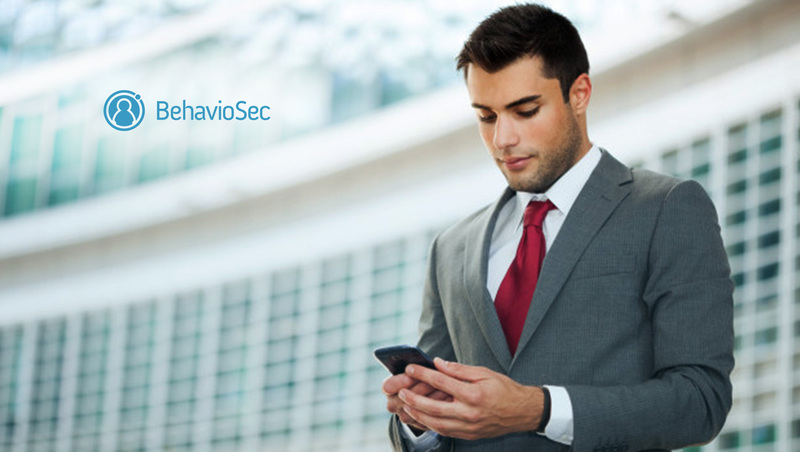 BehavioSec’s platform drives the company’s worldwide momentum as more business and government authorities acknowledge the limits of traditional login credentials too often stolen or exposed in the cybercrime underground. By instantly analyzing users’ keystrokes, cursor movements, touchscreen pressure and device handling, BehavioSec can continuously authenticate users based on their authentic, innate behaviors in real time. The platform detects suspect logins and transactions, or subjects them to higher risk scoring and customers’ further mitigations. This adds a new, pivotal last line of defense against account takeovers and unchecked fraud costs when criminals use browser malware, stolen devices, intercepted passwords and other techniques to bypass account security. BehavioSec was recently granted three new U.S. patents covering the core technology behind these capabilities, recognizing the company’s true innovator status. European Union (EU) authorities overseeing the EU’s toughened payment security regulation, Payment Services Directive 2 (PSD2), validated behavioral biometrics meets PSD2 requirements, meaning BehavioSec customers are already prepared for related compliance requirements and business opportunities under the EU’s global business influence.